A better illustration of the evolution of Overtown Farm would be to use some David Attenborough-style time-lapse photography. Two years ago, the action begins on a dilapidated Wiltshire dairy only for two high-spec American barns to spring up like toadstools in its place. A trotting ring appears in a field behind and over the road, in the distant gaze of Alan King’s Barbury Castle, and a carpet gallop gradually spills its way across for almost a mile. Were we able to spool through into the future, Hetta Stevens would hope to see herself training a string of winning racehorses along it. Pause at the present and Stevens has her first consignment of breeze-ups to focus on. She moved into her new premises the Christmas before last and the barns have been filled with thoroughbreds sent by eminent names including Roger Charlton, Richard Hannon and William Haggas. Stevens is now in a partnership with bloodstock agent Billy Jackson Stops and there is a neat Iffraaj filly and a taller Harbour Watch colt of her own to get ready for the sales at Ascot, and others for the rest of the spring. 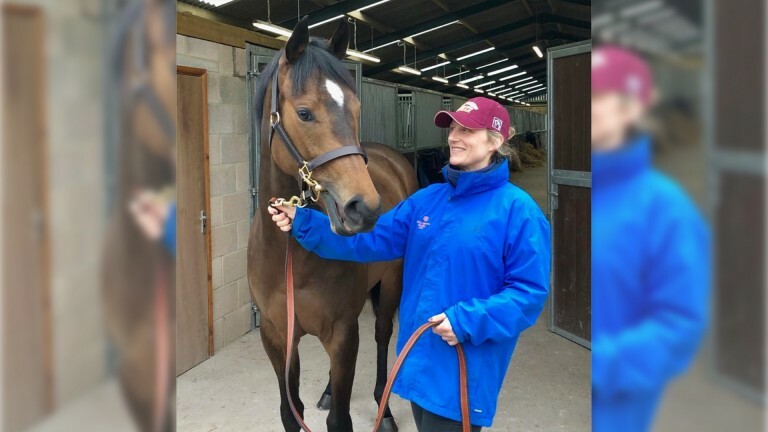 “It’s early stages but, having just done the breaking in and pre-training for a while then sending them off to someone else who presses the buttons, it’s so nice to be able to get stuck into some horses,” she says. “What I really want is for these horses to be sold and for whoever buys them, they’re going to be racehorses. These guys have got to kick on and perform, because I want people to come back to me next year and say ‘it did what you told us it would do and it’s been successful’." It is a long story as to how Stevens has ended up here. An experienced horsewoman whose comprehensive CV contains stints with tutors as diverse as Henrietta Knight, Michael Dickinson and Dale Romans, she was most recently seen running Sheikh Fahad’s Robins Farm alongside husband Olly. When in 2015 the couple took the decision to end their three-year reign at the Surrey stable for family reasons, she remained to oversee its transfer to trainer George Baker. Thinking quietly about her future, she asked the estate agents at Windsor Clive handling the deal if they would keep their eyes open for any suitable premises. And it just so happened they knew that Doug White, Overtown’s owner, was planning to diversify his business and make that very thing. “I said ‘if you build it, I’ll rent it’,” she says. “It’s very difficult to find a start-up yard and it’s been an amazing time. Sheikh Fahad and [advisor] David Redvers have been absolutely unbelievable – I wouldn’t be doing what I’m doing now without their support either. As soon as I moved in they sent me a couple of Frankels to break in. “Billy worked for us at Robins Farm as a pupil assistant and we’ve always kept in touch. I suppose it’s getting your toe in and both of us were desperate to get something going. He said ‘why don’t we do breeze-ups?’ and I said ‘I’m definitely up for that’. He’s good on the pedigree side, I’ll do the graft and horsemanship side and we’ll see how it goes. Considering the individuals, she adds: “We got the Harbour Watch at Ascot sales [for £4,500], and his brother General Short broke his maiden in Australia recently so that was quite a nice little update. The filly is small, butty, really racey, looks like a two-year-old, and the other guy has got a bit more scope to him. Trying one’s luck in a fluctuating breeze-up market, alongside the industry’s battle-hardened protagonists, is a difficult game and Stevens is aware of the risk. “It’s why we’re just dipping our toe in,” she explains. 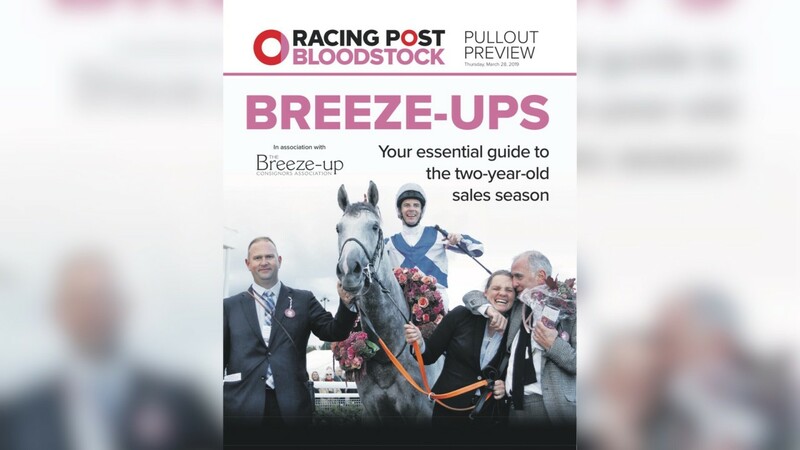 “The sales companies have been quite tight on what horses they’re going to accept and keeping numbers tight, which is very understandable, and who knows what’s going to happen. Hetta’s name might well have been the one above the door on Robins Farm when the Stevens family took over, but with their two daughters only a few months old at the time, the formal responsibility was passed across to her husband. They had some exciting moments through the likes of dual Guineas runner-up Lightning Thunder, although a sense of unfinished business lingers and a resumption is among her wide-ranging action plan. “I want to try to get some store horses in to break in throughout the summer and if we can fill up a few stables along those lines, before you know it the yearlings will be coming back around,” she explains. “In the future, I’d like to train some point-to-pointers, probably with a view to sell on, but the eventual aim is to get the licence out. It always has been. And that will happen at some stage. Stevens is clearly a popular character and some of her staff – Cass Ellis-Canzio and Jenni Burgess – relocated from Robins Farm for her. For the most part she wears her troubles lightly but, following a brief pause for thought, offers a reminder of some of those real world problems we often forget about in a sport mostly blinded by glamour and fantastical ambition. “There are times I wish I had someone to share the load with,” she says. “I’ve got great friends, family and a support network around me, but when you’re the only person who can answer those questions, make those decisions, it’s tough. There’s no getting away from it. “There are plenty of times I’ve thought ‘what the hell are you doing’ but when it all starts running well, everyone’s happy. I’ve got a great landlord and clients. There’s nothing else in the world I’d want to do." Times, like the landscape around Overtown Farm, have changed, and it all looks for the better for Hetta Stevens Racing.